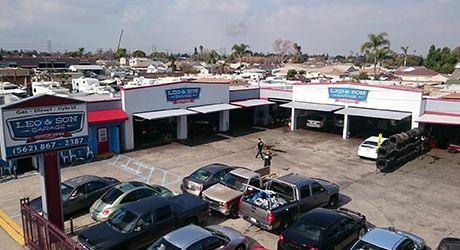 5 star review by Mike W.
5 star review by Christi L.
At Leo & Son Garage, we provide quality, affordable auto repair in the areas surrounding Bellflower. 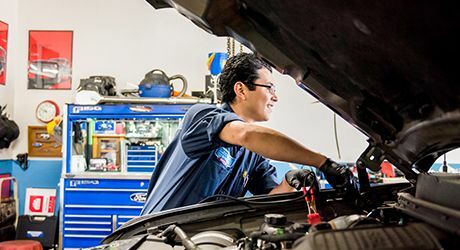 Auto repair technicians at our shop are ASE Certified and are able to service vehicles of all makes and models and perform any auto repair service. We particularly specialize in hybrid repair, ,diesel repair, smog checks and brake and lamp inspection services. 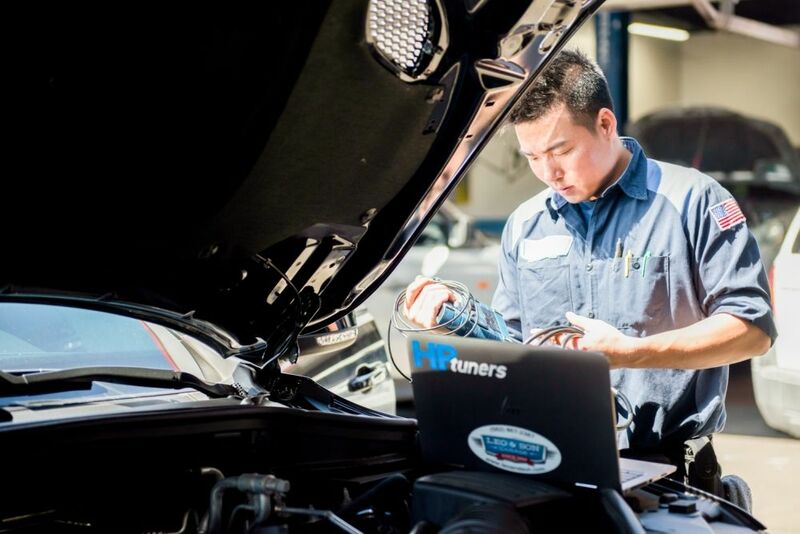 Our Bellflower diesel repair team knows that you want as much power and fuel efficiency as possible from your diesel vehicle. Smog check testing is one of the most popular auto services offered at our shop. 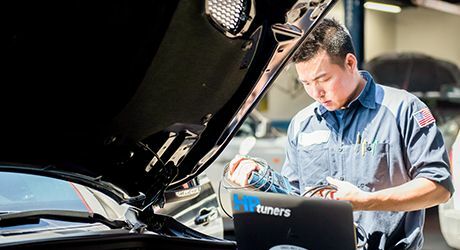 We have the training to provide repair for all hybrid vehicle makes and models to ensure that your car maintains the fuel efficiency you have come to expect. 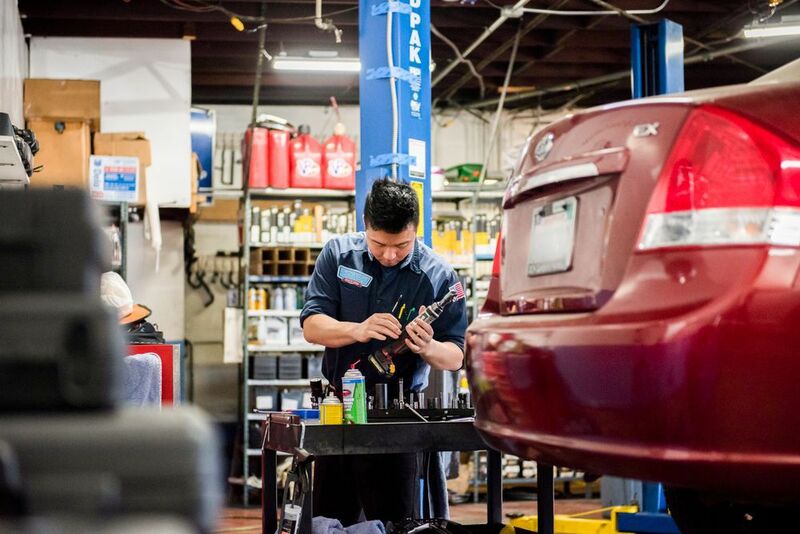 For over 60 years, customers and their families have continued bring their cars to our shop for auto repair. Bellflower, Long Beach, and Lakewood area customers enjoy our comfortable waiting area and free WiFi. If you are unable to stay for the length of your car repair service, we offer a free shuttle service and rental cars are available. 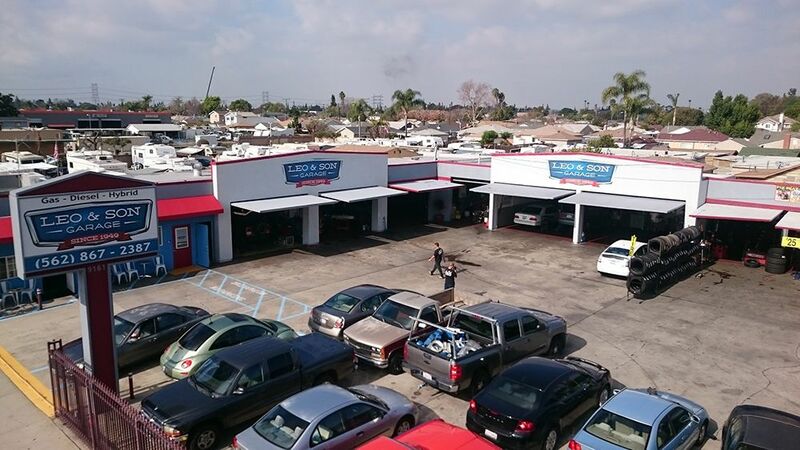 Since 1949, our Bellflower auto repair shop has been dedicated to providing our customers quality auto repair at an affordable price. We understand that your car is not only a necessity, but it is also an important investment. That’s why we offer several different options for payment, including Napa EasyPay Financing through GE Capital CarCare One 6-month same as cash financing (plus an extra year of warranty), and Flex Pay Plus financing. 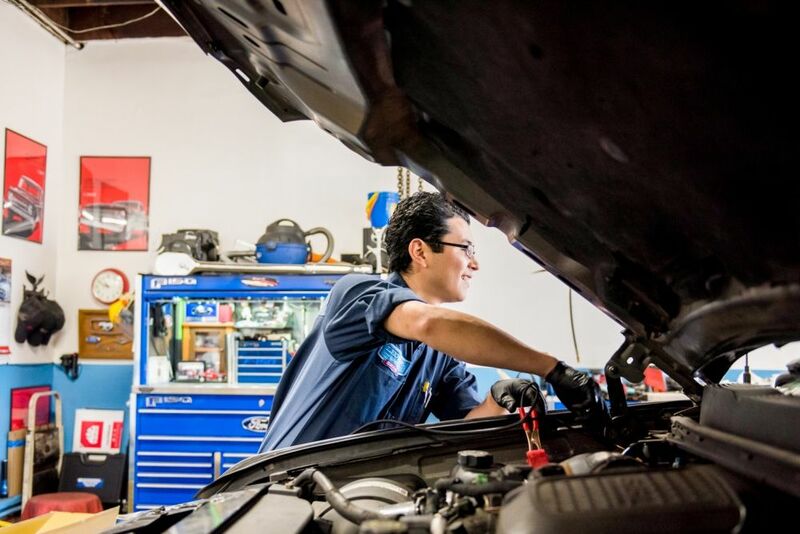 At Leo & Son Garage, our ASE Certified technicians have the training to provide top-notch service for any vehicle make and model, so you will always receive individualized auto repair. Bellflower offers many auto repair shops to choose from, but our team at Leo & Son Garage will get the job done right the first time. We even back all services with a 3 Year / 36,000 Mile, No Hassle Warranty!! We believe in the products we sell and the certified technicians that do the repairs. 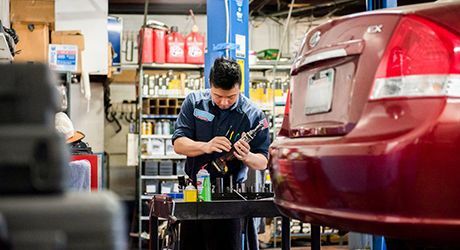 If any repair or component is found to be defective, we will make it right at no cost to you for a period of 3 years or 36,000 miles, whichever comes first. We will refund tow services required for any warranty repair*. Alternative transportation will be supplied for the duration of the warranty repair**, a rental car will be arranged if the repair time to correct defect takes longer than two hours. If for any reason we cannot repair any defect under warranty and return the vehicle to proper condition in a timely manner, we will refund 110% of the original cost of the repair*. We believe in the products we sell and the certified technicians that do the repairs. 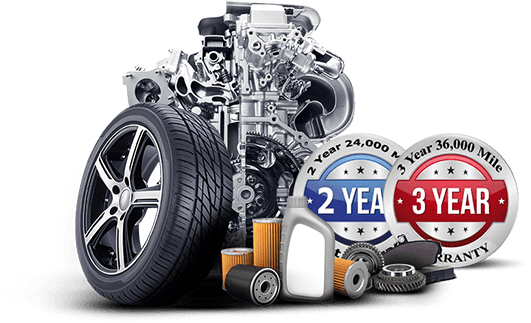 If any repair or component is found to be defective, we will make it right at no cost to you for a period of 2 years or 24,000 miles, whichever comes first. We will refund tow services required for any warranty repair*. If for any reason we cannot repair any defect under warranty and return the vehicle to proper condition in a timely manner, we will refund 110% of the original cost of the repair*.